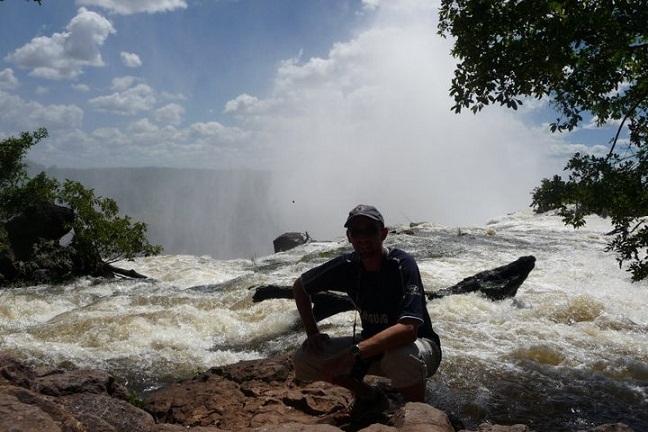 After almost 3 months in Zambia my girlfriend is coming to visit so I'm off on a 2 week holiday to South Luangwa National Park, Tanzania and Zanzibar. Happy Dayz! Although there has definitely been no sign of a busy season here in Africa, not like back home anyway! I am still really looking forward to a couple of weeks holiday. The African approach to work is similar to its approach to life – take it REAL easy!! This is great if you're on holiday but unfortunately when trying to get anything done its a different story! No matter how much you are told about the slower easier approach to everything in Africa, nothing can prepare you for this until you actually try to get something done! Even when everyone is motivated to act, you are usually limited in some way by poor infrastructure and limited services! The main donor visited a couple of weeks ago and as a result there has been a few changes in the structure of the finance team here at Edusport. We finally have everything up to date, I have provided training on Quickbooks, implementing accounting controls and procedures and assisted in other areas where I can. It is now time for them to work by themselves and see if they can remember what I taught them and understand the notes I have left . As well as going on holiday I’ve arranged through AfiD to go working with a different charity in Rwanda in May. I will be volunteering on a 3 week placement there with an organisation called DIZA who assist orphans and vulnerable children as well as organising other activities for the community. I will then come back to Edusport in Zambia and see how they have managed working independently for 6 weeks. Then back for another exciting audit busy season with Grant Thornton Australia. I have also been working with another organisation in my spare time here in Lusaka called “Barefeet”. The Director is an Irish guy I met and is just implementing Quickbooks. I have been helping him update this and training his accountant on how to use it as well as providing some advice on some other accounting procedures. Barefeet is a creative arts and performance project staged, rehearsed and presented mainly through children who are or formerly have been on the streets of Zambia. I was fortunate enough to see some of the performances these guys are involved in and it truly is inspiring stuff to see such talent that may never have been seen if it wasn't for the hard work and dedication of Adam and his team. Great work guys, keep it up! Everything else has been going great in Zambia. The people are really friendly, the weather is good, the beer tastes great and I’ve met lots of people. I actually met a guy that I went to secondary school with in Ireland here and his girlfriend was in the same year in University as me – small world! The cost of living is actually higher here than I expected it to be but I suppose petrol is almost $2 a litre, which for a landlocked country pushes up the cost of everything. I have visited some of the poorer compounds (i.e. suburbs) where they have been running workshops as part of Edusports programmes. As you can imagine, in one of the poorest countries in the world the standard of living is very challenging. It’s hard to imagine living in these compounds and it quickly refocuses you on the help that is needed out here. It is great to see all the programmes from various different organisations around the world that are running out here and the impact they are making. I travelled to Western Zambia, Mongu to provide some support to the accounts person there too. This is also a poor area and was covered in sand from the Namib Desert which I wasn't expecting. I read all about black magic in a museum, which supposedly is still widely practised – spooky stuff. I’ve signed up for another marathon, this time in Rwanda this May – the land of a thousand hills they call it – can't wait to hit 38km on this one. The Hash runs/booze-ups are still going strong – they have christened me with a Hash name of “Irish Eyes”! I’m getting more followers on my evening runs too, local kids trying to race me (and winning at times! ), locals shouting out hello etc as I pass their little wooden shops etc.. it makes for an interesting run. Apart from the other volunteers that were staying in the house I have only ever seen one other Muzungo within about 3km of where I live so we attract a bit of attention. One day I was running in a lightning storm and it seemed like I could see bolts of lightning striking the ground within 100 metres of where I was running – it’s a good incentive to run faster I suppose.